According to a survey by GOBankingRates, 34% of adults in the United States have zero retirement savings. Overwhelmed by the financial struggles of daily life, they prefer to focus on the needs of the moment than saving for a distant future. The Economic Policy Institute has also reported that nearly half of the American families have no retirement account savings at all. There are multiple reasons why so many Americans don’t invest in their future financial well-being. 1. They don’t have financial literacy. The ability to manage your financial resources effectively is not an innate trait, but rather something that people must seek to learn. Being capable of ensuring a lifetime of financial well-being for you and your family takes a lot of planning, organization, and at some point, compromises. Many Americans invoke as their primary financial regret wasting money on things that don’t provide long-term value. 2. They expect to rely on Social Security. According to Gallup reports, many seniors with no retirement savings expect to rely solely on Social Security. However, that is not a viable solution because Social Security can hardly become a primary source of income. While the average retiree spends around $45,000 a year on average, the average Social Security benefit for retirees is currently just $16, 320 per year, only a third of what a retired person would need for a comfortable but modest life. Another downside is that Social Security benefits are susceptible to changes due to the typical instability of the political and social climate. 3. They expect to be helped by the next generation. 24% of baby boomers expect their children to provide substantial help in funding their retirement, according to the Natixis U.S. Investor Survey. Whether the young generation is capable or willing to accept the burden is something that is yet to be clarified. 4. They don’t consider retirement savings a priority. According to the same GOBankingRates survey, 40% of Americans admitted that saving for retirement is not a priority in how they manage their finances. It is common for people to focus more on the present moment or short-term plans such as vacations, rather than sacrificing their immediate pleasures for a vague future. However, this can make retirement years very difficult. In the worst case, they would have to delay their retirement and keep their jobs until they save enough. 5. They used their retirement savings for an emergency. 22% of Americans had retirement savings but spent them in an emergency situation, such as a medical expense, house or car repair, and others. This is one of the reasons why it is necessary to keep two savings accounts, one for emergencies and one for retirement. Spending the retirement fund before you retire can leave you uncovered at a vulnerable age, especially since rebuilding the fund takes a lot of time. 6. Their workplace does not provide a retirement plan. 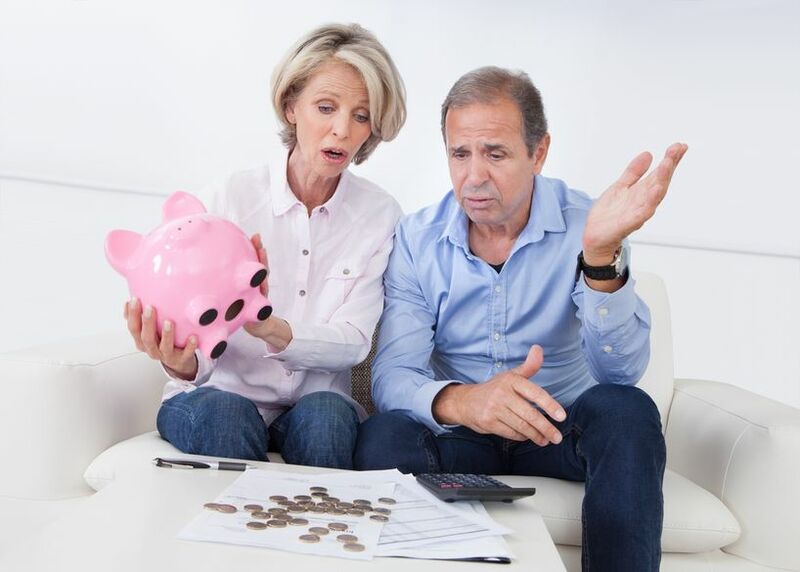 The same survey by GOBankingRates revealed that 19% of respondents haven’t saved for retirement because their employers did not include a retirement plan in their benefits package. Since many low-wage workers struggle with paying the minimum contributions, employers are sometimes reluctant to add the retirement plan to the list. The obvious result is that some Americans think that the retirement fund is the responsibility of their employer. 7. They expect other sources of income to cover their retirement. The survey suggests that 1/10 Americans don’t find it necessary to save for retirement, because they expect to cover the expenses of their retirement in other ways. Some expect earnings through passive income, others are covered by trust funds or inheritance. 8. They expect other sources of income to cover their retirement. Their income is not high enough to allow them to save for retirement. An obvious reason why Americans don’t put money in a retirement fund is that they don’t earn enough to afford it. They think that they need to reach a certain level of income before starting to save. However, small contributions are also valuable because the interest rate can make them grow a little bit each month. 9. They have too many expenses. It’s true that there hasn’t been a true growth in wages in the past few years and many people might indeed struggle with too many expenses. Others are burdened by heavy debt. However, some of the expenses are avoidable, even though not all. An important part of financial security is being able to live within one’s means and to budget wisely. 10. They engage in conspicuous consumption. Paradoxically, people with low come spend more on conspicuous consumption goods such as clothes, jewelry, cars or other ostentatious things, compared to people with higher incomes. The explanation could be that people from poor communities want to gain social respect and access to better jobs by pretending not to be poor. They invest more in their image because their face the risk of being stereotyped. As a direct consequence of their spending, low income people don’t save for emergencies or retirement, but use their money to improve their present situation, even if in ways that don’t seem necessarily efficient. 11. They focus on short-term goals to keep up with their rich neighbours. A study conducted by economists Marianne Bertrand and Adair Morse led to the conclusion that when income inequality is on the rise, the average savings rate falls. The explanation is that people try to emulate the lifestyle of those richer than them. Instead of focusing on basic needs such as house, utilities, gas, food, and savings they fall to the temptation of spending all their money to maintain the same lifestyle of their richer neighbors, friends, or acquaintances. This is a viable cultural way to explain why some Americans don’t have retirement savings even though they could afford at least a small fund. 12. They forget about the invaluable resource that is time. Many people plan to save for retirement but delay it due to various reasons. They don’t realize that by making small but smart investments and using the power of the compound interest, they can add over time a very attractive amount to their savings. The earlier they start to save, the bigger their retirement funds will be. A dollar saved today means much more than a dollar saved twenty years later. 0 Responses to "Why 1/3 Of Americans Have No Retirement Savings"